Sometimes following your heart can end up destroying the ones you love. When seventeen-year-old Eviana Dumahl is faced with the responsibility of an arranged marriage and clan leadership, she is forced to choose between the life required of a mermaid and one of a teenage girl simply infatuated with the wrong guy. Kain, her devoted fiancé would make a wonderful husband except that she’s been in love with Brendan, a shape-shifting selkie, ever since they were kids. Choosing to abandon her family, her clan, and her life with Kain will have dire consequences far beyond anything she could have imagined. A war is brewing amongst the clans and Eviana unwittingly becomes a pawn in the intricate schemes of a twisted mastermind. With Brendan’s life on the line, she has no choice but to involve those who she once considered friends. Amidst encountering senseless tragedies and immense loss, Eviana discovers that she is more valuable as a clan leader than anyone ever suspected. Her survival is not only dependent upon the loyalty of her friends, but also on her acceptance of a life that she had so adamantly tried to escape. 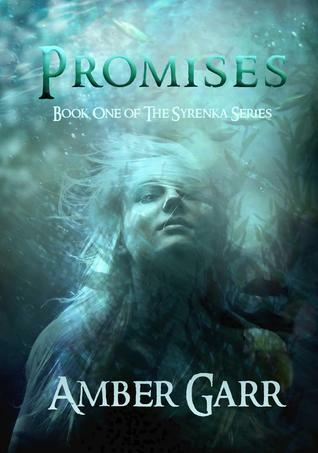 Promises is the first book of The Syrenka Series trilogy following Eviana and her friends through the perils of growing up in a discrete world that inherently threatens human society. Life as a mermaid can be suffocating. Eviana Dumahl has returned home as a clan leader, an orphan, and a heartbroken teenage girl. Her parents are dead and her boyfriend, Brendan, has decided that he needs some time away. While battling her inner turmoil, Eviana is forced into the war that Lucian Sutherland has incited amongst her own kind. With the help of Kain, her friend and formally betrothed, the two work together to prove that they deserve their birthrights as young merfolk leaders. When the Council requests a demonstration of Eviana’s mermaid powers, she finds herself with an opportunity to win back Brendan’s heart. But her orders to train with a repulsive merman and the presence of an attractive new suitor challenges Eviana to embrace her leadership and resist temptation. Lucian is after her, and no one seems to understand why. Loyalties are tested as the casualties increase, showing Eviana that sometimes it is impossible to delineate between friends and enemies. 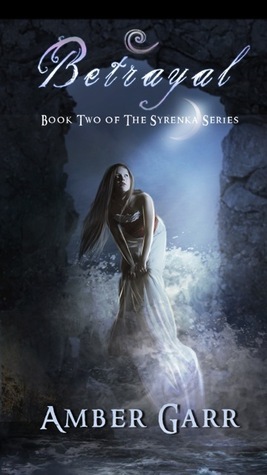 Betrayal is the second book of The Syrenka Series trilogy following Eviana and her friends as they navigate through the challenges of existing in a secret world. With power comes the responsibility to accept its consequences. Kain Matthew will sacrifice the world for Eviana. And he is not alone. As time runs out, her friends fight to save her life and theirs. An unlikely alliance gives them the edge they need to take a stand, although it keeps Eviana’s heart trapped in the past. A new discovery explains some of her previous mistakes, but it may not be enough to stop her father’s plans. Merfolk, selkies, and water sprites work together to save their kind, only in this final battle, not everyone will survive. 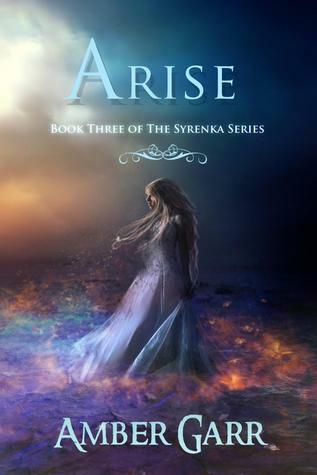 In the striking series conclusion, Eviana will learn the true meaning of power, sacrifice, and love. a Rafflecopter giveaway About the Author: Amber Garr spends her days conducting scientific experiments and wondering if her next door neighbor is secretly a vampire. Born in Pennsylvania, she lives in Florida with her husband and their furry kids. Her childhood imaginary friend was a witch, Halloween is sacred, and she is certain that she has a supernatural sense of smell. She writes both adult and young adult urban fantasies and when not obsessing over the unknown, she can be found dancing, reading, or enjoying a good movie.